From 2016 to 2020, tax credits on more than half of Detroit’s low-income housing units are set to hit the pivotal 15-year mark when developers can withdraw and start charging higher rents. In 2014, more than 100 elderly people were shuffled out their apartment building in downtown Detroit and forced to move. Their longtime home, Griswold Apartments for low-income seniors, was sold, rehabbed and renamed The Albert, chic luxury apartments where one-bedroom units now rent for $1,700 a month and up. One man didn’t leave. Two weeks after the deadline for the seniors to move, construction workers found the 61-year-old man dead from an apparent heart attack in the building. Since then, The Albert has become a cautionary tale for housing activists worried that Detroit’s revival could drive out low-income residents from subsidized housing that is sold and rehabbed into costlier units. So far, widespread displacement often associated with gentrification has yet to occur in Detroit, but activists fear that thousands of low-income families are in jeopardy when tax breaks that keep their rent low expire in the next few years. “It’s on our minds, it keeps us up at night,” said Tahirih Ziegler, executive director of the Detroit Local Initiatives Support Corp., a community development group working in Detroit and other cities across the nation. From 2016 to 2022, tax credits for 7,000 apartments and homes are reaching the 15-year mark of their existence, according to a study by University of Michigan researchers, called Saving Decent Affordable Housing in Detroit. Once the housing units hit year 15, owners can apply to state housing officials to stop setting aside units for low-income families. A disproportionate number of subsidized housing units are in highly desirable neighborhoods such as Midtown and Corktown, where Ford Motor Co. plans to invest $1 billion to redevelop the old Michigan Central Train Station. “That’s a little more than half the projects ever financed. … Therefore, it’s really essential these are preserved,” Dewar said. Low-income housing tax credits were created by the federal government in 1986 and are responsible for the vast majority of affordable rental housing in the nation, some 3 million units. Since there’s little or no profit in low-income housing, the credits provide a dollar-for-dollar reduction in developers’ federal income tax, if they agree to set aside a percentage of low-rent units in their buildings, typically 20 to 40 percent. The units are occupied by lower-income residents – typically those who earn no more than 60 percent of an area’s median income. Eligible families pay 30 percent of their income, meaning rent would be $1,075 a month for a family making $43,000 a year or $650 a month for those making $28,100, the median household income in the City of Detroit. The fear is that, when the credits expire after 15 years, building owners will have no incentive to provide low-rent units and raise the rent. And already there isn’t enough low-income housing in Detroit, which the U.S. Census Bureau considers the nation’s poorest big city. 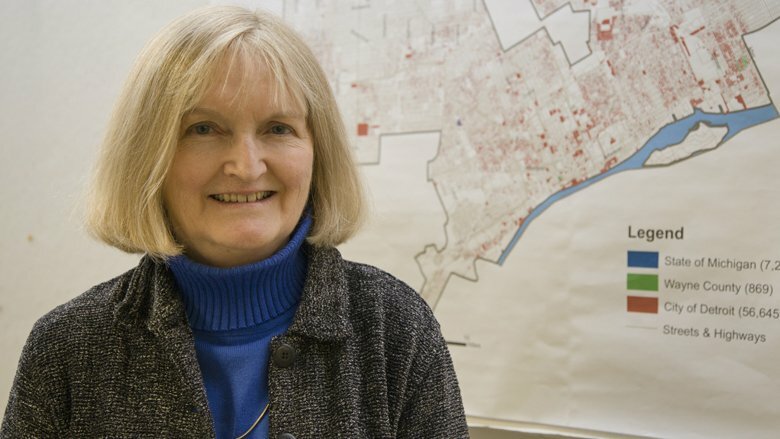 Research from Dewar and her colleagues at U-M suggest the city could use another 21,000 affordable rental housing units for households who make less than $20,000 a year. Across the region, there are only 28 subsidized units for every 100 low-income households, according to research from the Urban Institute, a nonprofit research organization based in Washington, D.C. shows. Fearing a crisis, housing advocates have formed a work group, which includes city officials and developers, to come up with solutions. This mix of people has power and influence to help save low-income housing for Detroit families, said Sarida Scott, executive director of Community Development Advocates of Detroit, a neighborhood development nonprofit. 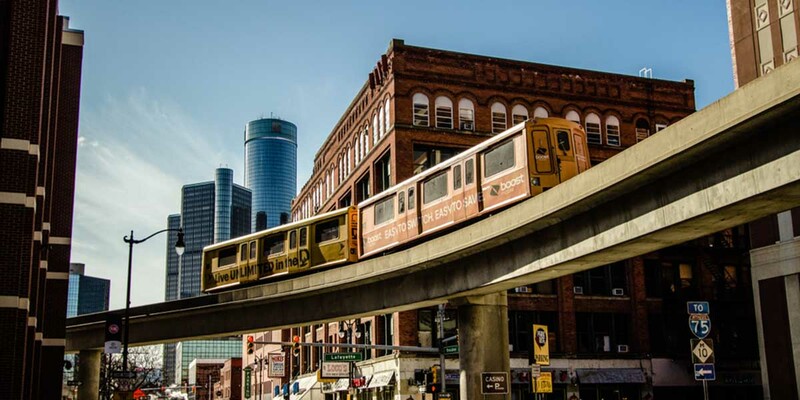 The City of Detroit is the process of raising $250 million from foundations, federal grants and other sources over the next five years to save 10,000 units and create another 2,000 units. The money help the owners offset operational costs and maintenance to keep the units affordable. About 90 percent of the low-income housing units with tax credits in Detroit are multifamily units, the rest are single family homes. 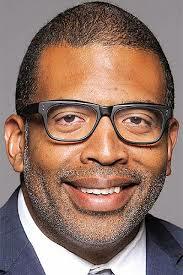 “It’s important to say to people who stayed in Detroit, ‘We’re going to keep your units affordable,’” said Arthur Jemison, the city of Detroit’s chief of services and infrastructure who oversees the housing and revitalization department. Detroit is raising $250 million in an effort to preserve 10,000 low-income housing units and develop 2,000 new ones. Arthur Jemison, who heads the city’s housing department, says the city is doing so partly to keep its promise to longtime Detroiters who stayed in the city through hard times. So far no low-income housing projects with expiring tax credits have applied for permission to get out of the affordable housing market and start to charge market rate rent, according to the Michigan State Housing Development Authority that administers the programs. But rents are rising citywide, up about a quarter to more than $800 a month, according to the city. And there are no guarantees owners won’t try to cash in and displace poorer residents. Another fear is that owners of the subsidized housing will neglect maintenance once the tax credits expire, Dewar said. Jesus, what does Detroit want? Renewal and investment or worried about what will drive it all away? Pick a side people. Without coming right out and saying it, Detroit wants what it has always wanted going back for decades now; the confiscation of wealth from those who live outside of its city limits and redistributed to those who reside inside of them. There are so many other tools a city/municipality can use to support low-income housing that this article is absurd. Why doesn't Detroit require use agreements to extend affordability requirements? Why don't they instead grant a discount on property taxes that run the term of affordability? The answer is because they don't want to. I had a satirical comment all typed up and ready to submit. It parodied the phony "job creation" model used to justify the billions in tax giveaways to the...uh, job creators, and suggested it be copied and applied to poor people. Then I remembered that legislative staffers read Bridge, and realized that my sarcasm could easily end up as the inspiration for a new government subsidy. Back in May, Joel Kurth wrote an interview with Allan Mallach about this new book: The Divided City. Mallach's judgement was that downtown "gentrification" was not a particularly bad thing, because it also brings-in higher income earners, who can afford to pay the taxes that it takes to continue to provide basic governmental services to all of Detroiters. And Mallach's message is dead-on. I have lived in Detroit for 66 years, and have been a very active maker and shaker of its affairs. If you choose to be a renter, one of the big downsides is that the owner always calls the shots. These owners once agreed to a specific written deal. That is the full extent of their legal obligation. Some may sense a different moral obligation. But, even they have already complied with all of their contractual obligations to the federal government. City government has absolutely no basis upon which to call them any further account. So, if they voluntarily continue these long-standing arrangements, they should simply be applauded for "doing the right thing". But, those who do not should not be castigated and for doing any less. For anyone who can still afford to pay $700 per month for a thousand square feet of habitable space, there are still tons of properties within Detroit to which they can transport, and many of those are owned by the Detroit Land Bank. We should all expect that the Land Bank bend over backwards to accommodate these displaced folks. But, there are still tens of thousands of folks, who are merely "surviving" within the City, who have no means and no prospects of earning the $1,500 dollars a month that it would take to pay $700 a month for a place to live. That's $18,000 a year, or $9 per hour if you actually can work a full 2,000 hours per year, with no sick days, no vacation, and no down-time of any kind. The biggest prospect is restaurant work, but that only guarantees $3.65 per hour as a tip worker, and in most places where no one even leaves a tip. You only work there hoping to scavenge some uneaten food. The beat goes on. Over the past seventy years, millions of well-employed Detroiters have left the City for somewhere in the burbs, and that is still happening, day after day. Those who can are still moving to the burbs. But, that leaves behind an increasing concentration of folks who have no employable skills, no serious education, and no reasonable prospects. The real moral question is: Don't you feel even the most modest responsibility for those left behind? Why don't the tax exempt mega churches start buying houses and apartment buildings from the land bank , renovate them and provide low income housing? They have billions hidden away in their secret accounts, they should be using this money to help the poor, Jimmy Carter can't do it all on his own.